MKV has enormous storing capacity as it can support multiple audio, video and subtitles in same container. If you have downloaded some films in .mkv format from online websites, it is very convernient to take your iPad Air, iPad 3 and new iPad 3 when your travel for enjoying mkv films on the go, or use it to kill time when you on train, bus or plane. At first, you should know video formats supported by iPad Air, iPad 3 and new iPad 3 are limited, like H.264/MPEG4 codec MP4, MOV and M4V, the other formats like MKV is not supported, even if you have transferred MKV to these iPad series or access MKV video file source on them via the internet, these gadgets can’t recognize these files. Then is there a way to play MKV on iPad Air, iPad 3 and new iPad 3 when you are free? Absolutely Yes! To get MKV films played on iPad Air, iPad 3 and new iPad 3, the wisest solution is to convert MKV to playable videos by these iPad series beforehand. 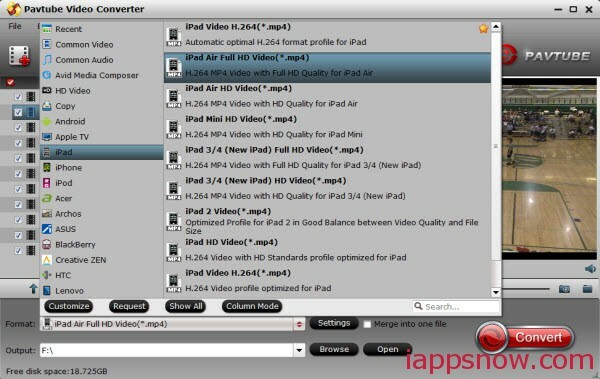 If you are Mac users, here Pavtube Video Converter for Mac is such a MKV video converting program that can meet all your basic and advanced MKV to iPad needs. It is capable of convert mkv video to iPad Air, iPad 3 and new iPad 3 supported video formats on Mac with incredible speed and compelling quality and also grants users incredible editing tools to optimize video effect according to their needs. Here we just take converting MKV video for iPad Air as an example. To get it started, please download this mkv to iPad Air video converter first. Then install and launch it, and do the following operations on your Mac at first. Step 1. 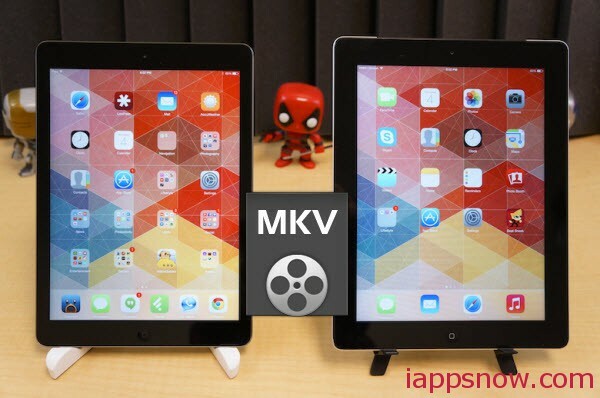 Load your source MKV films into the iPad Air Video Converter for Mac. Step 2. Select iPad Air compatible format. Click the drop-down list and choose “iPad -> iPad Air Full HD Video(*.mp4)” as the best profile for iPad Air. For iPad 3 or new iPad 3 playback, choose “iPad 3/4 (New iPad) HD Video(*.mp4)”. Note: If you prefer 16:9 aspect ratio with 1280×720 in resolution, just press “Settings” button and set “Size” to 1280*720 instead. For better quality you can set video bitrate up to 2000 to 3000kbps. If you wish, you may modify the Size as 1920*1080 to get full hd video quality. Step 3. Click on “Convert” button to start converting MKV to mp4 for iPad Air on Mac. As you see, just 3 steps you have done the process of MKV to iPad Air conversion on Mac. After a short time, you will get the converted mp4 file. Then, transfer it to iPad Air. Now, you are ready to play MKV films on iPad Air, iPad Air, iPad 3 and new iPad 3 with ease.